Meat balls part 1 - Leo Tunapika? 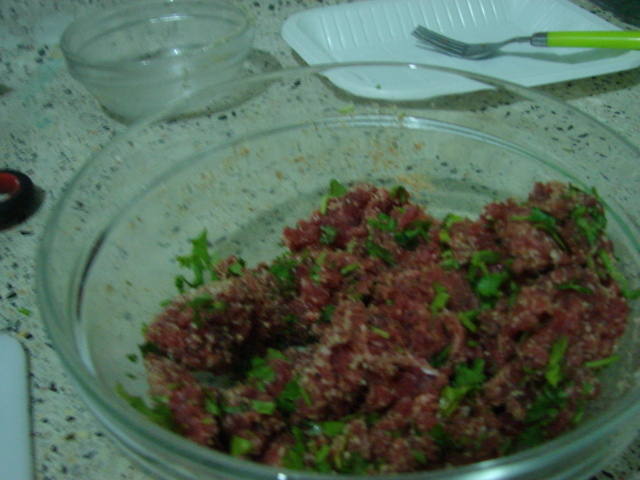 The same night I prepared the baked potatoes I decided to prepare some meat balls sauce. 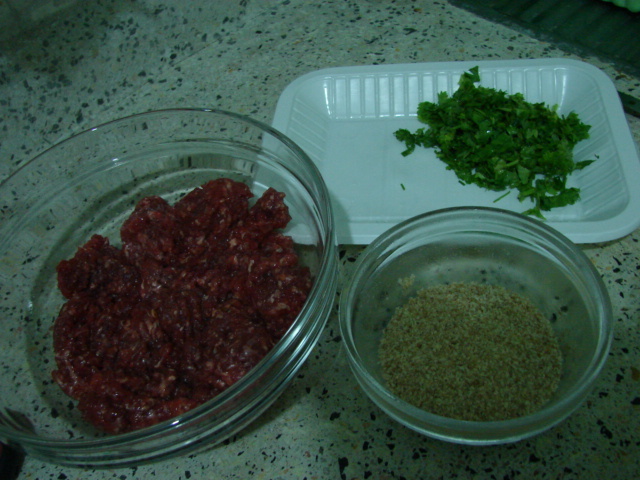 In a large bowl combine the meat, bread crumbs, dhania and seasoning(salt,rosemary,black pepper). Use your hands to ensure all the ingredients are incorporated. 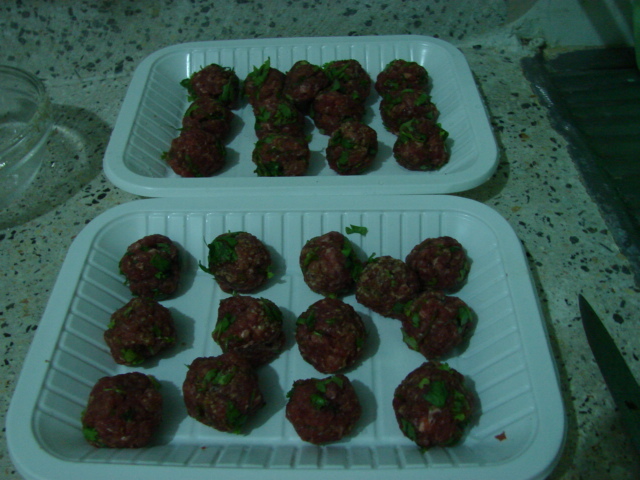 Then, still using your hands take small portions of the meat and shape them into meat balls. 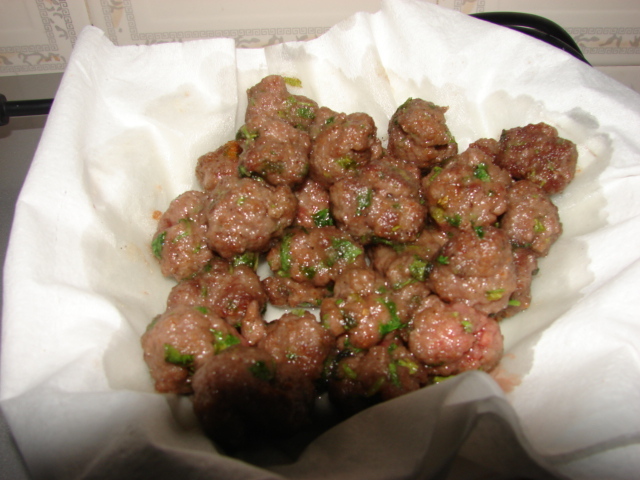 Most meatball recipes that I’ve come across also incorporate an egg which more or less acts as a glue to make sure the balls don’t fall apart. since I wasn’t planning on using any eggs, I put the meatballs in the freezer for about 20 minutes so that they can become stiff. Once they are stiff enough remove from the freezer dust them with some flour and shallow fry them. Look out for part 2 for the rest of the sauce. Pingback: Meat balls part 2 « Leo Tunapika? Pingback: Baked Meatballs in Tomato and Pepper Sauce | Leo Tunapika?